Businesses today rely on computers and technology more than ever before. The earliest beginnings of email in the 60s marked a rapid change toward today’s almost complete reliance on computers. When considering the degree of change that has taken place over the last fifty years and the current rate at which changes are now taking place, it is clear that data centers must be planned with expansion and future operations in mind. 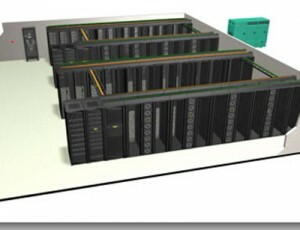 As you consider the specifics of your data center design, you must always consider how well the design fits those needs of today and how well the design will meet your future needs. The location of the data center facility plays a very important role in determining how well the center will run today and in the future. Features such as the vulnerability of the site to natural dangers and the ease of access to a consistent power supply must be carefully considered. Planners must consider physical vulnerabilities of potential sites such as the proximity of earthquake fault lines, whether or not the area is a flood plane, and how well the soil drains the amount of water that the area typically experiences. Other important factors such as how isolated the data center is or how prone the area is to political or criminal activity must also be taken into consideration. Some locations may seem ideal today, but a look at future planning maps may show that traffic and construction activities are likely to increase. It is more cost effective to plan ahead for your growth and neighborhood growth than it is to rebuild because your current location is no longer appropriate. In many situations the facility occupancy of today’s data center will be less than the occupancy needs of the future. However, efforts to maintain a facility which is large enough to accommodate future needs can create energy efficiency problems. The initial design plans can incorporate expansion plans while providing for energy efficient use of the facility during current operation. A couple of examples for doing this include using modular data center units and allowing for expansion without fully maintaining the entire structure. Establishing access to an adequate power supply will be a major concern during initial construction and will continue to be a major concern especially as power needs increase. The power capacity of the facility will present similar concerns. The same will be true for access to secure communication systems. Neglecting to make accurate predictions about the necessary power and communication requirements of the facility now can become a very expensive problem just a few years down the road. The ease of maintaining the facility and all necessary equipment is an element of data center design that is sometimes overlooked. If air conditioning equipment is mounted on the roof of the building, then the maintenance which affects the efficiency of that equipment will be more difficult than maintenance on equipment which is easier to access. With a little bit of foresight, the necessary maintenance on future expansions can be as convenient as the maintenance on current facilities and equipment. Many older data centers cannot handle the same power density that newer facilities can handle. As data center technology improves, the power density of growing facilities should also improve. It may be difficult to determine exactly how technology will improve, but careful planning can leave options open so that facilities don’t become obsolete. Clearly the expansion potential of the building site must be an acknowledged priority for facility planners. One of the major benefits to preparing for the future of the data center is that potential risks can be headed off before they cause expensive down time. It is very important to the well-being of the data center and the businesses whose information is stored at the data center are protected against all natural and man-made risks. By anticipating risks, the administration of the data center can fully prepare to withstand those risks without losing power, information, or control. Many problems facing data centers are experienced over and over again – sometimes by the same facilities. This is because there is a tendency to solve today’s problems as quickly and easily as possible. Those quick fixes are often temporary fixes, and may sometimes actually cause other problems for the future operations of the facility. This happens because quick fixes are often focused on just one area of the system at a time and the changes made by the fix may have operational consequences for the future of the data center. The initial hardening of a data center should be done during the planning stages of the building process, but it should also be a continual focus for facility administration. The security of the data center will be constantly at risk. Cables and telephone lines present an easy to reach point of vulnerability. Non-security personnel such as maintenance people or even strangers wandering in off the street can often gain access to important areas of the data center if the staff hasn’t been trained to be on guard and vigilant. Other risks may be posed because of outdated wiring or software. Lack of familiarity with emergency procedures may lead to chaotic events which increase the chances of intruder vulnerability or loss of equipment and information. Protecting the valuable information stored in data centers must be a top priority for data center administration. This protection cannot be achieved without careful planning for the future. Emergencies, natural disasters, terrorist infiltration, and other risks must be anticipated and prepared for in order to prevent significant losses and dangerous information situations. One of the best ways to protect the information stored in the data center is to plan the design of the data center with an eye on the future and not just today. This entry was posted in Computer Room Design, Data Center Construction. Bookmark the permalink.